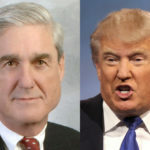 Donald Trump’s handpicked Attorney General William Barr just released what he claims is a “summary” of the Robert Mueller report, but Barr’s claims are so far removed from the plainly visible facts and evidence, we have to assume for now that Barr is intentionally mischaracterizing Mueller’s findings. The bottom line: this is just getting started. Despite William Barr’s best attempt at whitewashing Robert Mueller’s report, Barr made the mistake of explicitly stating that Mueller’s findings do not exonerate Donald Trump. That gives House Democrats all the legal ammunition they need to get their hands on the real report, so they can find out all the things Trump did wrong that prompted Mueller to conclude Trump could not be exonerated.